Established 57 years ago, the Barnes Wild Bluff Oysters brand has been part of the Southland foodie scene for a long time. While much has changed over the decades, including the way the oysters are packaged for sale, the supreme wild, natural, fresh and delectable taste of Barnes Oysters remains the same. General Manager Graeme Wright, who has been part of the Barnes team for nearly two decades, is excited to launch a new look in their 2015 season, which begins 1 March. This Southland icon started in 1958, when experienced Timaru-born oysterman Ernest Barnes moved south to Invercargill and began operating Barnes Oysters Ltd. Having worked on oyster beds since being a teenager and after experiencing some success with drying and capsulising oysters for treatment of iodine deficiencies, Barnes’ focus turned to fresh oysters in tinned form, to ensure they could travel. 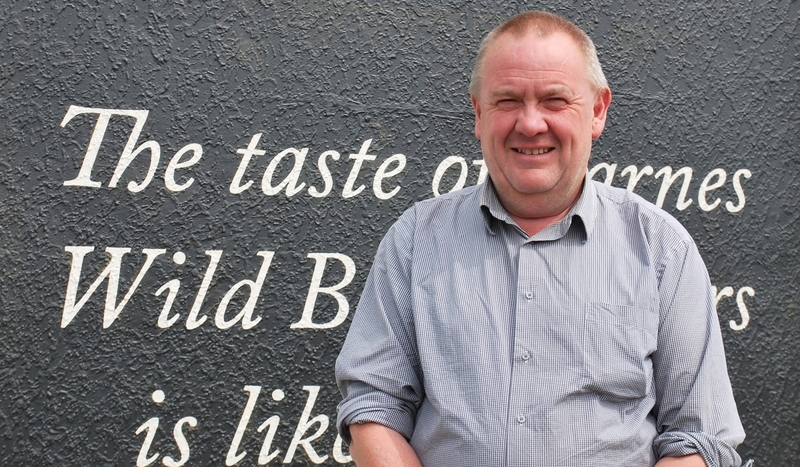 While it is not certain when exactly tinned oysters started, Wright believes it could have been as early as the 1930s, citing an old article from 1934 that suggests Bluff oysters were air freighted in a tiger moth in 1934 to the North Island. In the early years Barnes Oysters had four vessels in the fleet, harvesting approximately 20,000 sacks every season for sale. Back then Barnes used tinning machines to pack oysters in tins for his customers in multiples of 2.5, 5, 10, 15 and 25 dozen. Up until the 1970s, a lot of Bluff oysters were freighted around the country live in sacks as well, mainly to fish and chip shops that opened them and on-sold them to happy customers. Then, with developments in transport, chilled freight and refrigeration the need for tins lessened and this method of packaging ended after the 1981 season. New plastic packaging was introduced in the form of pottles. Nowadays, Barnes Wild Bluff Oysters has eight boats in their fleet with each vessel harvesting up to 1 million oysters every season; with each and every one of them needing to be packaged ready for sale to seafood lovers nationwide. 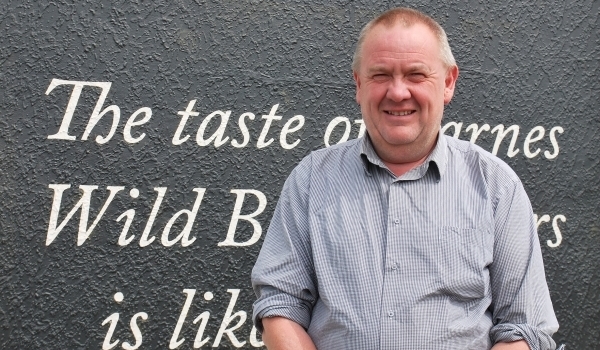 “I remember when I first started in ’97 – the supermarkets took their oysters in big 25 dozen pots, then they would tip then into bowls in their servery counters and count them out into their own pottles for customers,” Wright said. The red and blue pottles that have been around for the past 18 years came about in Wright’s first year at Barnes Oysters. 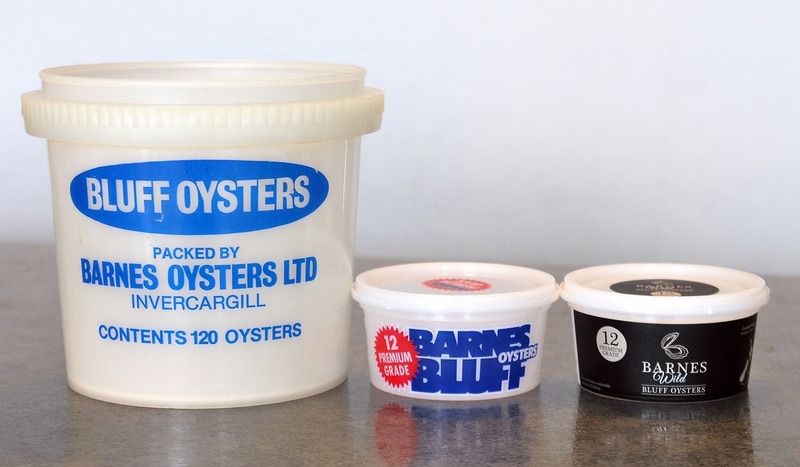 He said that ever since Barnes Wild Bluff Oysters have been packed in one dozen pots for customers and 10 dozen pots for takeaway shops and restaurants. The stylish, new look pottles, featuring black and golden sand colours will be launched on 1 March. Wright said their new website is also live featuring the same look and customers will have no trouble missing the new signage on their factory shop on corner of Spey and Bond Street in Invercargill.